Jeff White is General Manager of Radio Miami International (WRMI), a commercial shortwave station in the United States that has been on the air since 1994 (under the FCC FMO). He is a Journalism graduate from Northern Illinois University near Chicago, where he served as news manager for several years. Jeff worked for several more years as a freelance journalist for a number of radio networks, including Christian Science Monitor Radio, National Public Radio, NBC, Radio Netherlands and others. He carried out many audience research studies for international broadcasters such as the BBC, VOA, Radio Canada International, Deutsche Welle, etc. Jeff has served as Vice President and President of the National Association of Shortwave Broadcasters (NASB), which represents the privately-owned shortwave broadcasters in the United States. Jeff has been Chairman of the HFCC since February 2015. Jeff is also the NASB representative in the HFCC Steering Board. On behalf of the NASB, Jeff has chaired the organising committees for the HFCC/ASBU conferences in Mexico City (A05), Dominican Republic (B09), Zurich (B10) and Dallas (B11). In their free time, Jeff and his wife Thais like to travel, especially by cruise ship. He always takes a shortwave receiver with him. Sergio Salvatori joined Vatican Radio at the Santa Maria di Galeria transmitting station in 1986 and has been working there since then. He moved to the Frequency Management Department in 1993, mostly dealing with HF matters, and started to attend the HFCC Conferences in the same year. 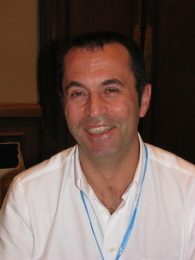 Sergio was elected to the post of Systems Development Co-ordinator (jointly with Gerald Theoret) in February 2010. Sergio enjoys jogging and travelling. 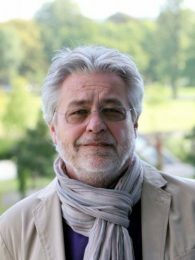 Dr. Jerry Plummer holds the post of Systems Development Co-ordinator (jointly with Sergio Salvatori) from August 2018 to the current time. 1973-1977 Manager for small loan companies. 1977-1989 Wilson Sporting Goods Company. Corporate Manager in Various Departments. Since 1999 University courses at "Austin Peay State University" (Clarksville, TN USA) in Economics and Management Information Systems. Tenured Full Professor. From 2008 forward member National Association of Shortwave Broadcasters (NASB). 2016 forward member of NASB Board. 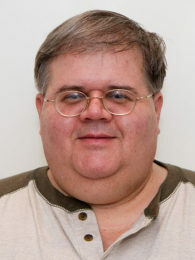 From 2007 to current Frequency Manager at WWCR (Nashville, TN USA). From 2011 to current Frequency Manager at Caribbean Beacon (CBB) Anguilla, Caribbean. He is unmarried with Significant Other, Lynn, a dog and cat (Zillah and Annah). Dr. Plummer enjoys professional and collegiate domestic sports (MLB, NFL, College Football and Basketball), Management Consulting, traveling, statistics, public speaking and radio announcing. 1974 academical graduation from the Technical University Aachen as Diplom Ingenieur in Telecommunication Engineering. From 1975 to 1985 in charge of planning transmission facilities for Deutsche Welle and developing countries. Since 1985 in charge of frequency management and international co-operation with ITU, EBU, ASBU, ABU and DRM. 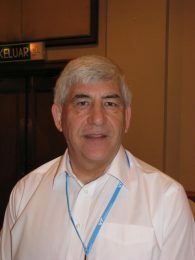 Since 1990 Vice Chairman of the High Frequency Coordination Committee. 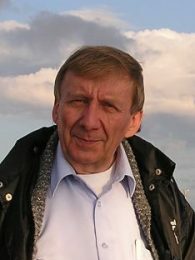 From 2006 until his retirement in February 2011 Chief Engineer of Deutsche Welle. Since June 2011 he acts as consultant to MEDIA BROADCAST GmbH. He is married and has one adult son. 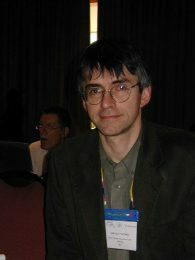 Gary Stanley joined the BBC World Service in 1986, initially as Transmitter Engineer at the Cyprus relay station, and then Senior Transmitter Engineer at the UK MW site at Orfordness. In 1997 he moved to the Scheduling and Frequency Management department, becoming Frequency Manager for Merlin Communications, then VT Communications and now Babcock International Group. He became Senior Frequency Manager in 2010. Between 2003 and 2012 he was the ABU-HFC representative on the HFCC Steering Board. 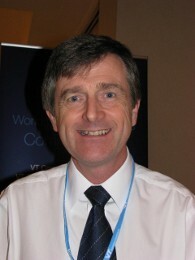 Gary was elected Rapporteur in January 2012. He is married with one adult son and enjoys photography, bird watching and ballroom dancing. Oldrich Cip (†2018) was associated with radio since childhood - first as an amateur radio hobbyist and later as a staff member of Czechoslovak and Czech Radio in the departments of International Broadcasting. A college graduate in the field of Humanities, he spent most of his working life as a frequency manager and schedule planner. For quite a number of years he conducted a radio column for hobbyists under the pen-name Peter Skala. After the end of the Cold War he came up with the idea that broadcasters from both sides of the conflict should come together and develop a new system of planning and co-ordination for shortwave broadcasting. A group started this activity back in 1991 and later was established as the HFCC. Oldrich was Chairman of the HFCC from 1998 until 2015 and a Vice-Chairman from 2015 to 2018. He lived in Prague and was married with two adult sons. His hobbies included woodworking, restoration, guitar and country music, vintage graphics and photography. Geoff enjoys travelling, walking and reading and is currently learning ballroom and latin american dancing. 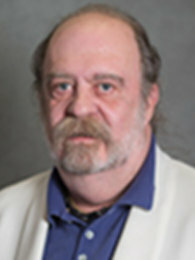 Gerald Theoret held the post of Systems Development Co-ordinator (jointly with Sergio Salvatori) from February 2010 until his early retirement from RCI in 2012. Since 1986 University courses at the "Université du Québec" and the McGill University in Computer Sciences and Project Management. From 1987 to 1993 Program Schedule Planner at Radio Canada International. Since 1993 Shortwave Frequency Manager at Radio Canada International and at the Canadian Broadcasting Corporation. Gerald enjoys fishing trips, reading (particular interest in Politics, Economy, Science and History) and biking.